Special Notes: Heavily genetically augmented, as all Republic military personnel are. Bio: Not all humans are citizens of the Galactic Consortium or scattered across the independent Frontier worlds. Far beyond the Consortium’s reach, other large-scale human civilizations thrive. Greatest among these is the Terran Colonial Republic, a proud military republic founded by the descendants of some of the earliest human interstellar explorers. Thus far, they’ve maintained neutral relations with the Galactic Consortium, but the Consortium’s sudden annexation of numerous Frontier systems got their attention. So far, no open conflict exists between the two, but the Republic has agreed to begin providing humanitarian aid to Frontier worlds. Commodore Ulysses Vega is one of the men in charge of this venture. 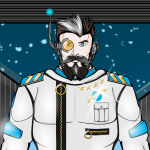 A veteran of the first and second Scorpius Wars, Commodore Vega has fought from one end of the Rim to the other. He was assigned to assist independent Frontier worlds, but was caught off-guard by a Consortium war-fleet, which attacked his ships on sight, thus dragging the Republic into war against the Consortium. 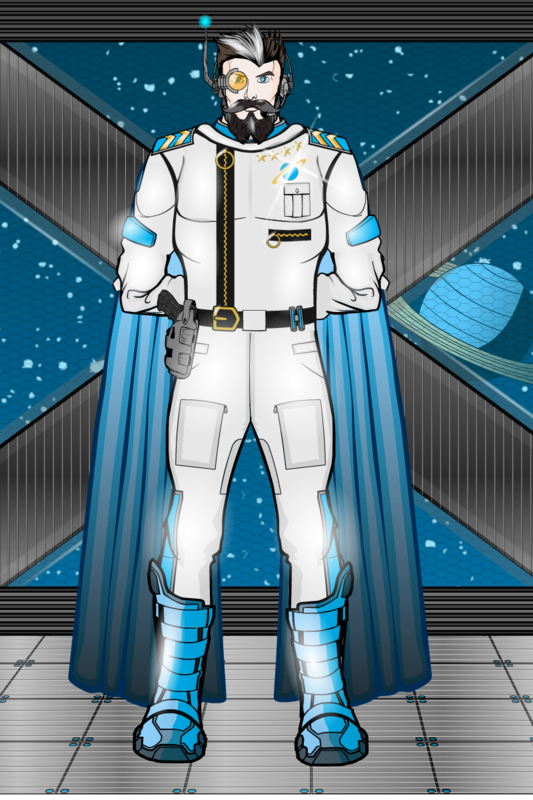 Since then, Vega has found himself often working alongside the hodgepodge fleets of the Frontier Alliance, and, while as a military commander, he find their lack of organization appalling, he can’t fault their effectiveness at times.